The South Australian Chamber of Mines and Energy (SACOME) lobbies against any gas moratoria that may be introduced in South Australia, and agrees with the findings of the recent International Energy Agency (IEA) energy policy review which cautions State and Territory governments on implementing unwarranted bans on natural gas development. Resources moratoria negatively impacts the prosperity of our state by inhibiting new supply development and driving up the cost of gas with flow on effects for industrial, commercial and domestic users. SACOME CEO Rebecca Knol said: “Moratoria are inconsistent with the strong regulatory system, safety record and scientific facts of gas exploration and extraction practices in South Australia. 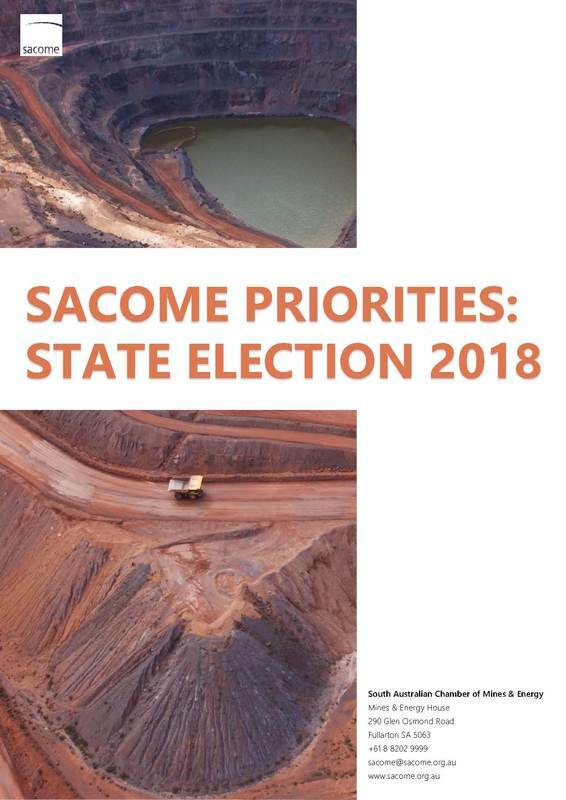 SACOME launched its State Election Priorities at the start of the year, and calls for the rejection of resources moratoria by all South Australian political parties.